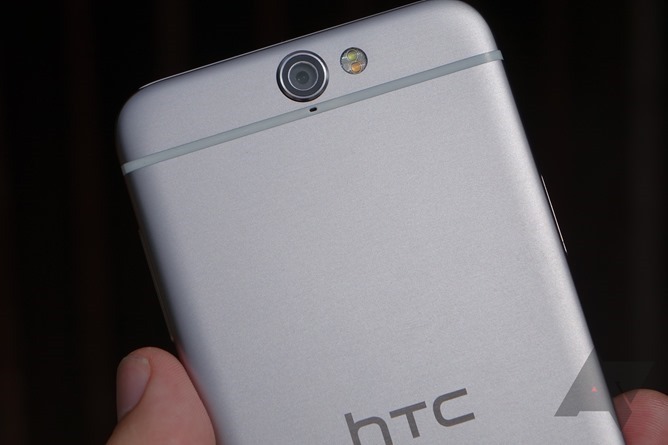 But there are now claims that Sailfish has simply "recycled" the HTC One A9's design. In short: the growing sentiment is that Google phoned it in with Sailfish. But I would argue strongly that, aside from proportional similarities, dismissively calling Sailfish a reworked 2015 HTC phone is doing an unreleased handset a complete disservice and ignoring a vast, gaping chasm of nuance in favor of tired arguments about Nexus phones just being OEM leftovers that have persisted for years. So, let's see if these claims of derivation hold water. If you recall, we showed you what these devices would look like over a month ago. Our renders do fudge some of the shaping around the glass "window" area (it's hard to get this stuff right when you're not literally working from a manufacturer's CAD assets a la @OnLeaks). At the time, I recall no one drawing HTC One A9 comparisons. Admittedly, our version seems to have slightly undersized the lower bezel, which may be marginally larger than the upper one. 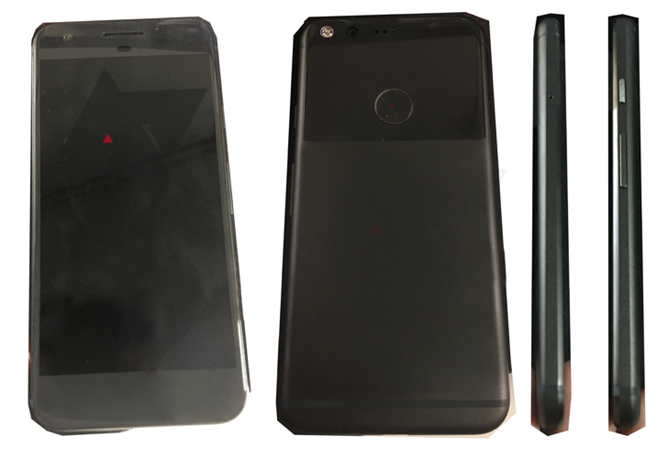 We also may have very slightly exaggerated the vertical bezels, giving the phone a more "squat" look. But the basic proportions are there. Then we leaked the physical photos, and all hell proceeded to break loose. Ron's image just added fuel to an already-burning fire, based on the fact that the phone has fairly large bezels proportional to its size and bears a passing resemblance to a not-even-especially-noteworthy HTC design from the fall of 2015. But the moment you tell people something new and shiny bears similarities to something old and unloved, you're going to have a problem. The thing people wanted to love as its own, special object with its own identity has been sullied by shouts of "derivative!" - derivative of something widely considered subpar, no less. Let's discuss what these phones, the HTC One A9 and the unreleased 2016 Nexus Sailfish, have in common. The overall proportions of the front of both devices, and perhaps the length and width generally, appear exceptionally similar. The screens are probably the same size. There's an antenna band across the lower portion of the back. The sensor window on the front panel is the same shape. They're both phones made by HTC. And what makes them dissimilar? Chamfer and edge design of the Nexus device is completely different. The rear design, particularly the glass panel, is quite different from the One A9, apart from aforementioned antenna band. The camera modules, front and rear, are placed differently. The rear module is a totally different design and completely flush with the body. The Nexus lacks the A9's top-mounted antenna window (you can't see it, but trust me). The headphone jack is on top, not the bottom. The earpiece speaker is a different shape and style. Power and volume rocker keys are swapped (power on top on Nexus), the power key has a different texture. Said sensor window is in a different location. The fingerprint scanner is in a completely different place (the back) and has the standard Nexus circular design. Literally every part actually inside the phone is probably different. It's not as though HTC had a pile of unused One A9 shells lying around and decided and Google said "yeah, those will do." That's not how smartphone development and industrial design work. More likely? 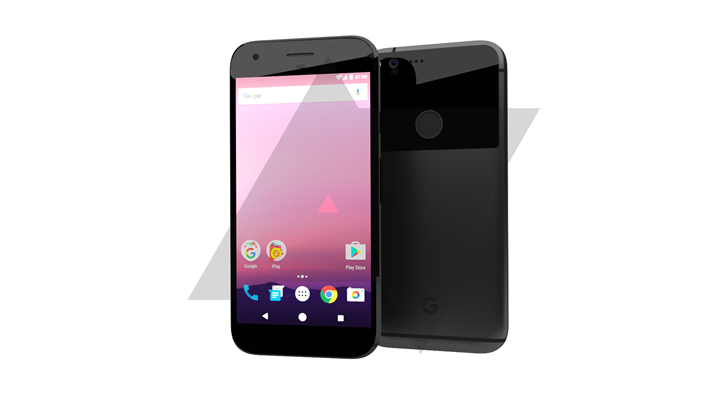 Google knew it wanted a 5" smartphone and had a basic design language in mind. HTC had already gone through the trouble of designing an adaptable device frame and built tooling (read: $$$) to construct a 5" display device on this "platform" - the One A9 (much like a car). HTC likely conveyed to Google that its existing tooling and platform could be modified to suit the design language and elements Google wanted on the device, and at a substantially lower cost than building an entirely new phone from the ground up. How you paint this - as "being cheap and unoriginal" or "an intelligent, savvy business choice" - is largely dependent on how much you actually care about whether or not your new phone bears some fleeting resemblance to another, older one. I'll leave that to you. But this is the mere skeleton of a phone, and the various changes Google has made no doubt necessitated getting out the design bonesaw. These aren't "minor" adjustments for the mere sake of branding: Google's Sailfish is clearly a new and unique device with a look all its own. To say that Sailfish will be nothing but a "recycled" A9 is clearly subject to silly and destructive oversimplification. It's sillier yet considering that likely every component inside the device is new and completely unrelated to the nearly year-old One A9. The battery is nearly 30% larger. The processor will be leagues quicker. The technology all around will be newer, better, and more modern. 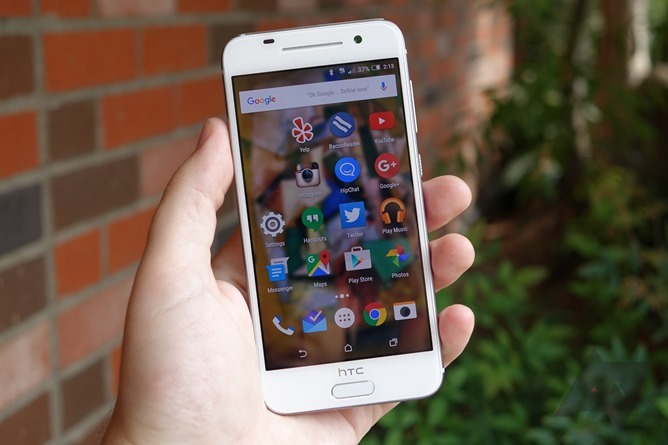 The software will be the very bleeding edge of Android. Sure, these two phones share some elements, but this is the sort of argument that could be applied to literally any phone as long as we're willing to cherry-pick our parts - what makes the shape of the front shell, suddenly, the end-all-be-all? If it's the bezels you're going to pick apart, well, we know how that's going. They're big, proportional to the size of the device. This seems to very much upset some people. I don't really understand it, and am done trying to. But please, don't go throwing the whole phone under the bus now that the One A9 makes for a convenient rallying cry of "see, they're just lazy." If you knew this would help cut the phone's MSRP, would you be so quick to consider this a drawback? I think that might change opinions on the matter considerably. And let's not forget: while it does have a smaller display, this phone will still be narrower (easier to hold) and shorter than the outgoing 5X. If you wanted a small Nexus, this is probably going to be the smallest one in three years. Is it really worth going on a "recycle" witch hunt?